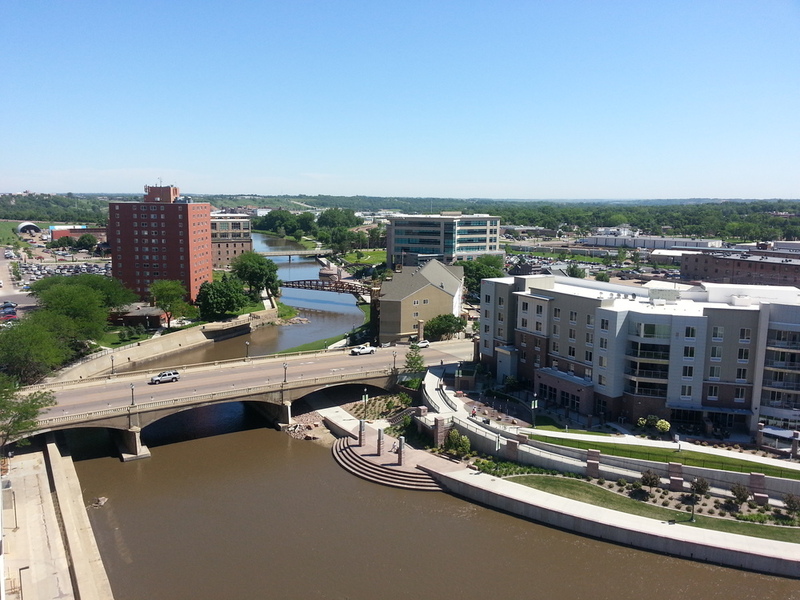 We asked for something to challenge us, and the City of Sioux Falls did just that. Th told us to see what could be done on this "postage stamp" sized surplus property that others had lacked at and failed. As soon as we viewed the site, we knew this would be a one-of-a-kind, winner! 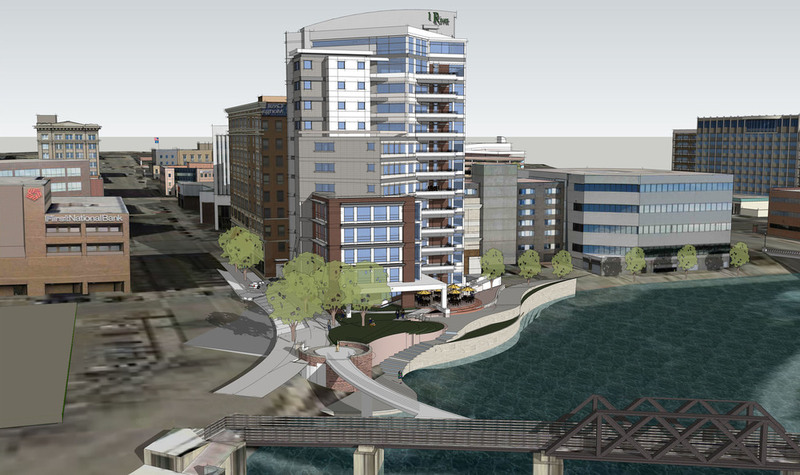 Although the site was unusually small, it's location at the turning point of the Sioux River, in the heart of downtown screamed for a world class solution. It was not long before we presented this slender 15 level building that has been described as "stunning" and magnificent" by others. 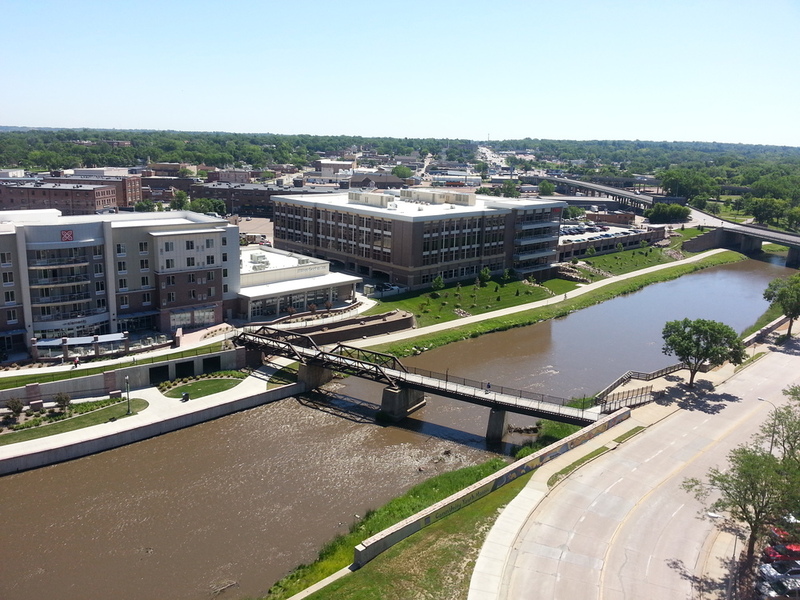 We were able to save over 60% of the site for public access that surrounds the structure with walking, biking, outdoor dining and of course, the Big Sioux River, our City's name sake. These site attributes flow naturally into the City's new and improving River Greenway plan. Private parking is below grade while ground floor is designed to house a specialty restaurant situated to take advantage of the park-like setting surrounding it. Floors 2 through 5 are exclusive office suites with views in all directions. Floors 6 through 8 each house two large private residences while floors 9 through 11 contain one residence each. Level 12 is the ground floor of a 2 story residence that will be unmatched in luxurious appointments and stunning views in all directions. The tower is topped by a rooftop garden that is exclusive to the residents below. Each level offers the undisputed best possible views up and down the river as well as magnificent views out and over the top of the city. It truly feels like you can see 4 and maybe 5 states from the top of this once in a lifetime opportunity.